And here’s how to make it. First, measure the circumference of the handlebar. In this case it was about 8cm (a little over 3″) around. 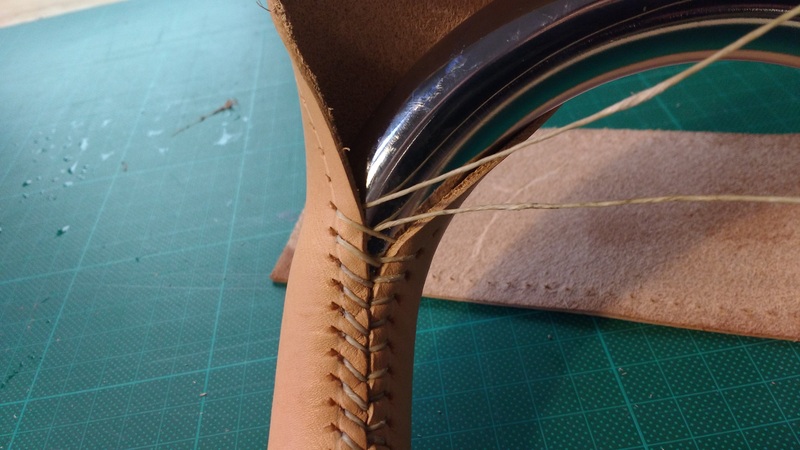 Cut straps that are a bit narrower than the circumference and a bit longer than the length you wish to cover. For example, I cut two straps of 7,7cm (3″) by 46cm (almost 18″). I used pretty thin veg-tan leather. I think this stuff was about 2,5mm thick (6 oz.). Make a line parallel to the long edges using a compass or groove cutter. The line shouldn’t be too close to the edge or it will tear out. 3 or 4mm (1/8″) from the edge looked fine to me. 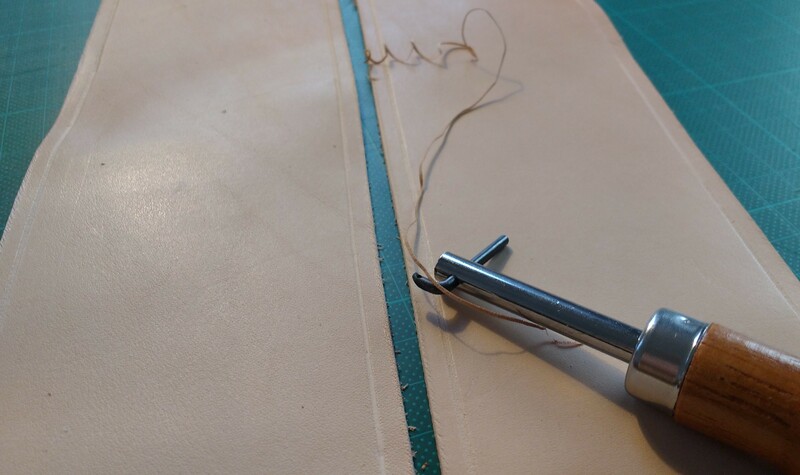 This line will guide the stitching chisel, and make sure all stitches line up straight. I used a groove cutter to cut a very shallow groove. It helps me feel whether my chisel is on the line or not. 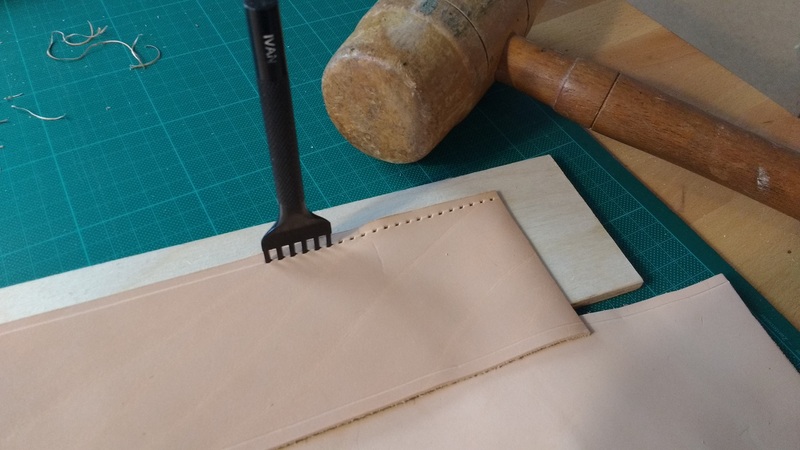 Punch holes for the stitches using a stitching chisel. 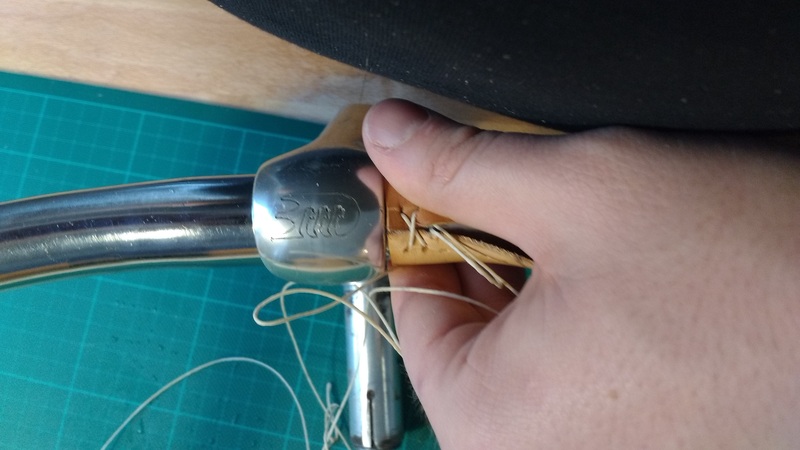 If you don’t have one you can also use a stitching wheel and awl, but it takes a lot longer. 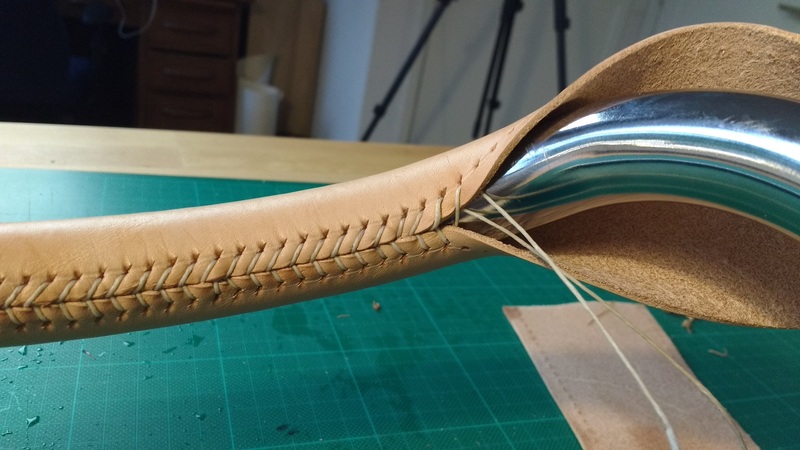 Use a plant mister to make the leather slightly (not soaking!) wet. 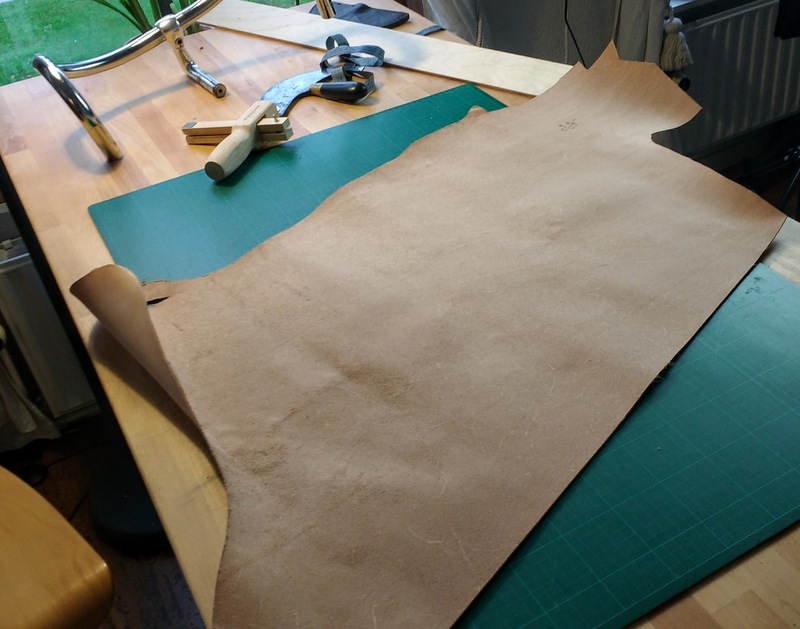 This will help the leather stretch and form to the bar. Take a length of waxed linen thread of about 1.5m long (a yard and a half). Attach a needle to both ends. 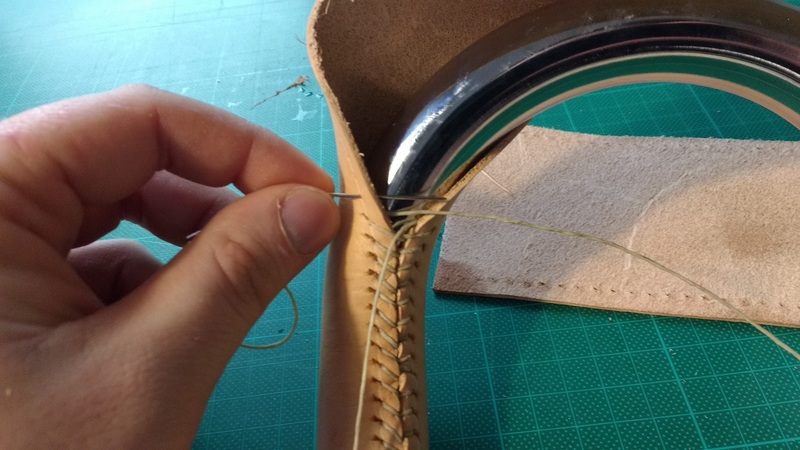 The stitch will be a sort of a hybrid between saddle stitch (in the sense that you use two needles) and baseball stitch. Start it off by making an X as shown below. 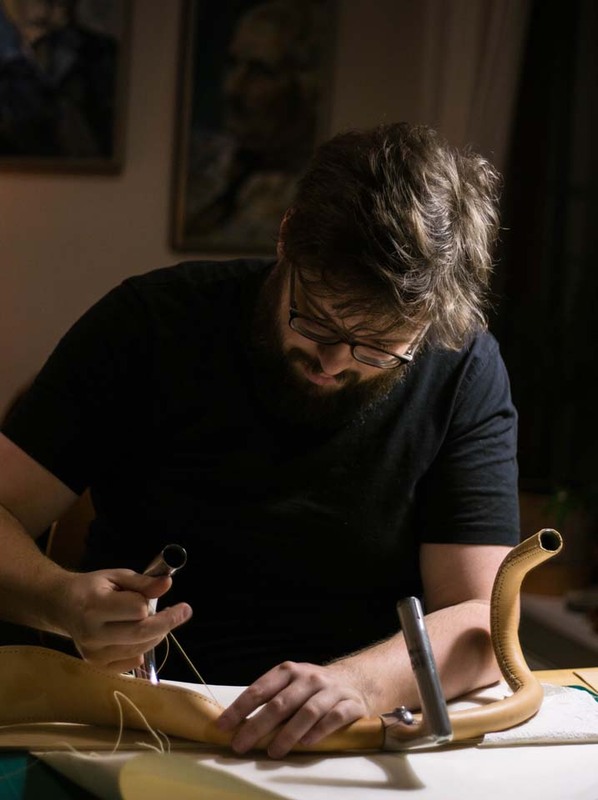 Now, the bottom needle goes to into the next hole over on the opposite side, entering from the skin side. You now have two threads coming from the top side, take the first (left) one, and cross over to the bottom side, to the next hole over, going over the outside and in on the skin side. Continuing with this needle, cross over to the top side, again over the outside and in on the skin side. Repeat the last two steps until you come to the end of the handlebar. Some tips: always make sure that you have the thread you are stitching with to the left, and the other to the right. Tighten the stitches continuously. 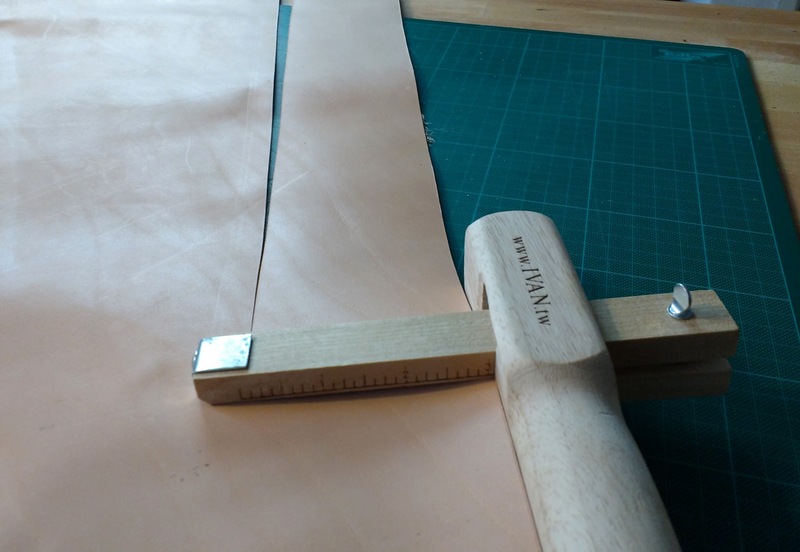 Also keep manipulating the leather to keep the seam where you want it. 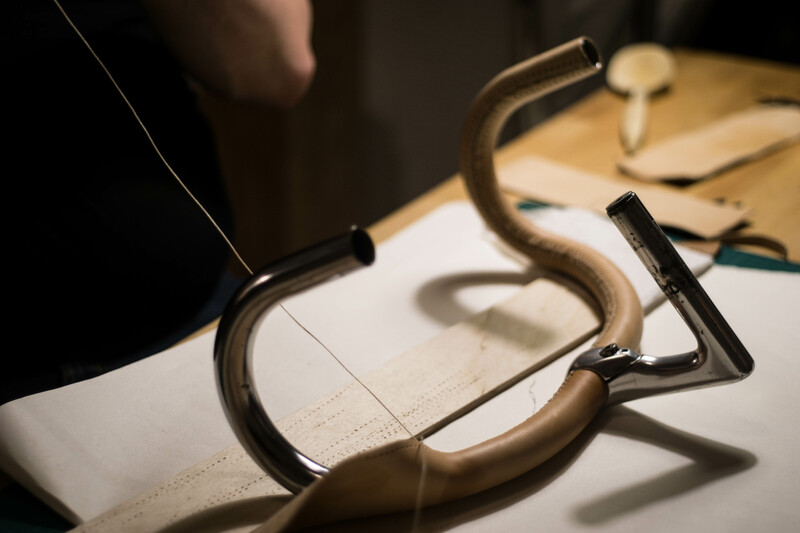 Once you’re at the end of the handlebar, go back and forth between the last two holes a couple of times and tie it off by making a flat knot. 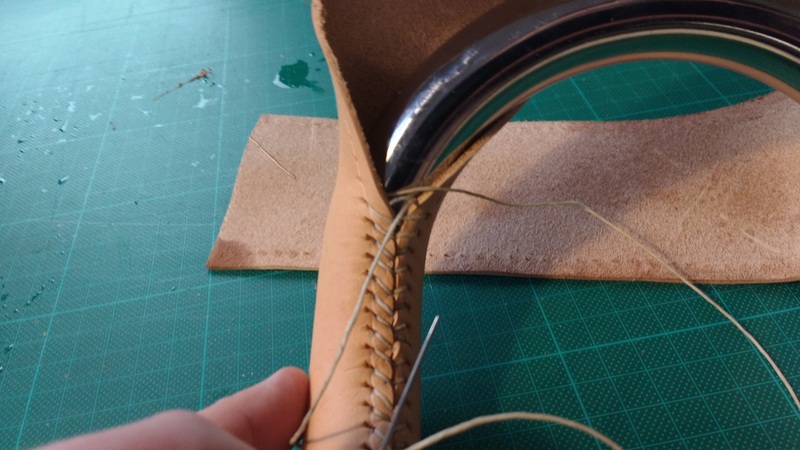 Cut off any excess leather and thread with a sharp knife or pair of scissors. 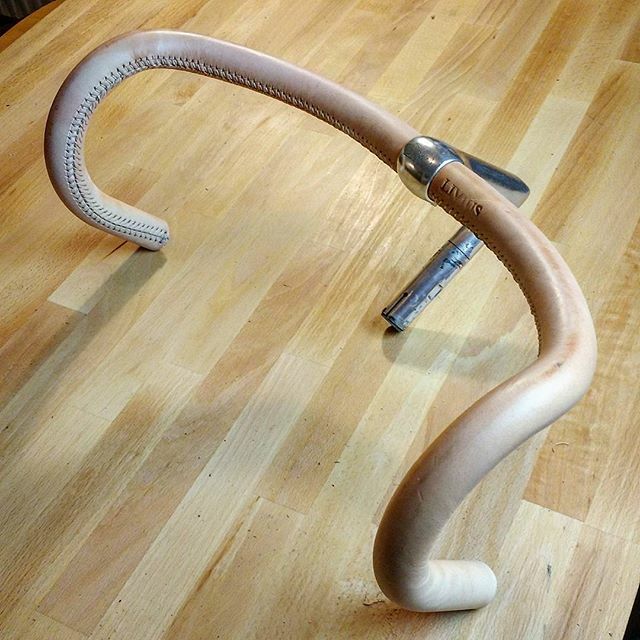 This entry was posted by Lieuwe in Leatherworking and tagged Bike, Handlebar, Leather, Leatherworking.